How much is Bruno Kirby Worth? 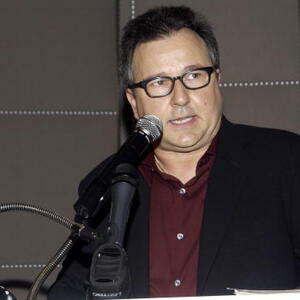 Bruno Kirby net worth: Bruno Kirby was an American actor, singer, chef, and comedian who had a net worth of $4 million at the time of his death in 2006. Bruno Kirby was born in New York City, New York in April 1949 and passed away in August 2006. He had 70 acting credits to his name and starred as Anthony Girelli on the television series The Super in 1972. Kirby also had recurring roles on the TV series Room 222, It's Garry Shandling's Show., and The Larry Sanders Show. He also starred in several films including The Young Graduates, Superdad, Cinderella Liberty, The Godfather: Part II, Between the Lines, Where the Buffalo Roam, Hill Street Blues, This Is Spinal Tap, Tin Men, Good Morning, Vietnam, When Harry Met Sally, City Slickers, The Basketball Diaries, Sleepers, Donnie Brasco, Spy Games, Played, and more. Kirby was nominated for an American Comedy Award in 1992 for City Slickers. His father Bruce Kirby is also an actor. Bruno Kirby passed away on August 14, 2006 at 57 years old from leukemia.